Simplify the work you do every day. Manual processing of thermal imagery is time-consuming. Automating that workflow, even with smaller volumes of imaging and sequences, can save you and your business valuable resources. Explore how Sense Batch can simplify the work you do every day. A better way of working thermal imagery. Normalize your images to use the same temperature unit, apply an isotherm or change palette using a complete set of tools. Quickly switch from light to dark theme depending on your preferences. 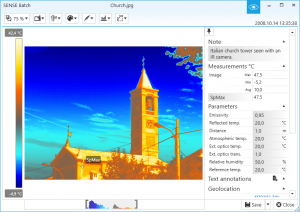 Edit all in one – thermal fusion alignment, sequence playback segmentation, sketch image replacement, custom palette and more. Go from working for hours and days to seconds. Work more efficiently with Sense Batch thermal images batch processing software and automate a number of tedious tasks; normalize images to use the same temperature unit, apply an isotherm, change palette or find extreme spots and mark them with measurement tools – all in a matter of seconds. 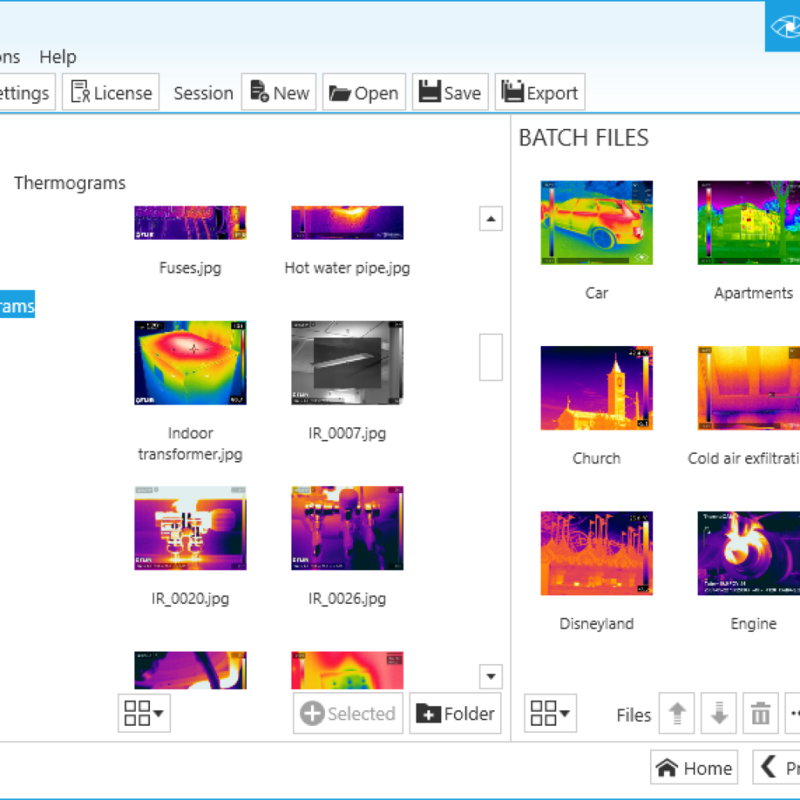 Sense Batch helps you quickly customize and select various data to be included in all your images in one go. Utilize and share your work. Start saving time, buy a license now. 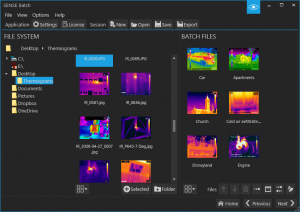 Industry-leading batch processing software created for thermographers, engineers, scientists and professionals working with thermal images on a daily basis. What comes with your Sense Batch license? Questions about software features or how to get started? Let’s chat.